We all have colons. We are all at risk for colorectal cancer. Colorectal cancer, CRC, is preventable using colonoscopy to evaluate your colon for polyps and remove them before they become cancerous. Polyp removal at the time of endoscopy is usually simple with minimal risks. The colon is an important organ that completes the process of digesting foods. The stool present needs to be washed out in order to completely visualize the colon lining during colonoscopy. A variety of cleansing methods are available. Dr. Alvarez will determine the best method for you during your history and physical. Prior to the cleansing or “prep,” your diet will be adjusted to help insure adequate nutrition as well as complete cleansing of the colon. A low residue diet is instituted 3 days before the procedure. The Diet consists of foods that are easily digested and broken-down by your body. This allows a more efficient cleansing. The entire process is completely discussed at your pre-colonoscopy visit. During the colonoscopy, you will be mildly sedated. While lying on your side, the colonoscope will be inserted. 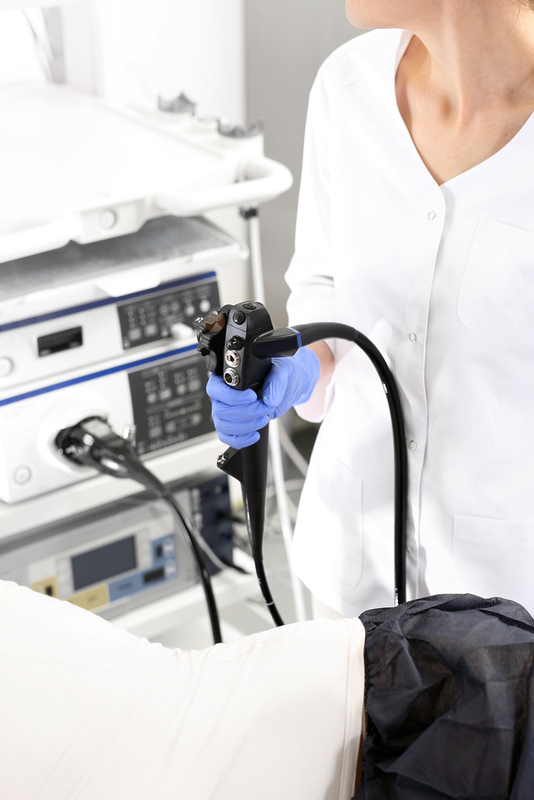 The colonoscope can reach throughout your entire colon. Air and water are directed through the colonoscope to insure complete examination of the entire colon. The device contains a video camera that transmits images to Dr. Alvarez and is viewed on an external screen. Dr. Alvarez can remove polyps and take tissue samples if necessary. Any samples will be sent to a Pathologist for evaluation. When the exam is over, you will need a family member or friend to take you home. The sedative effects can last for a day, so it’s recommended not to drive or return to work until the following day. The doctor will provide you with a print-out of personal care instructions before you leave. The American Cancer Society recommends to get a colonoscopy if you’re 50 or older. Other factors can change the age of your exam and will be considered during the consultation. A family history of colon cancer is an important consideration. Consult with Dr Alvarez at Peninsula Surgery & Aesthetics in Homer or Soldotna to discuss the exam. Medical screenings and aesthetic procedures are performed in a private clinic setting. Call (907) 235-1010 or visit them online to learn more about the services available.